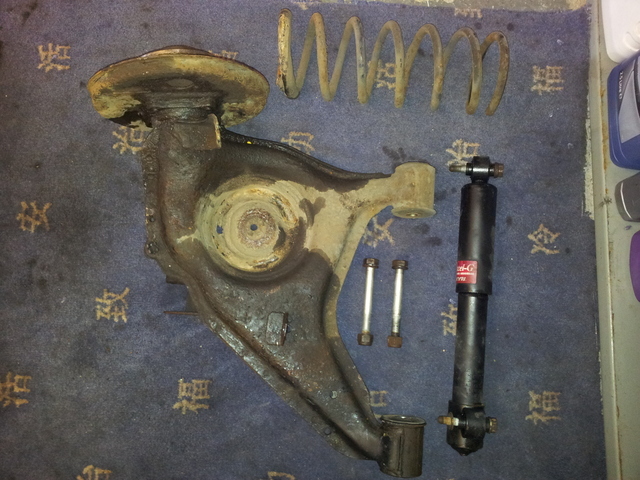 Now the rear brakes have been stripped down I wanted to get the rest of the rear dismantled, this being the shocks, springs, arms and rear beam. Now the photos are a mixture of both sides of the rear as I kept forgetting to take them, as it goes it wasn’t a bad task to under take. 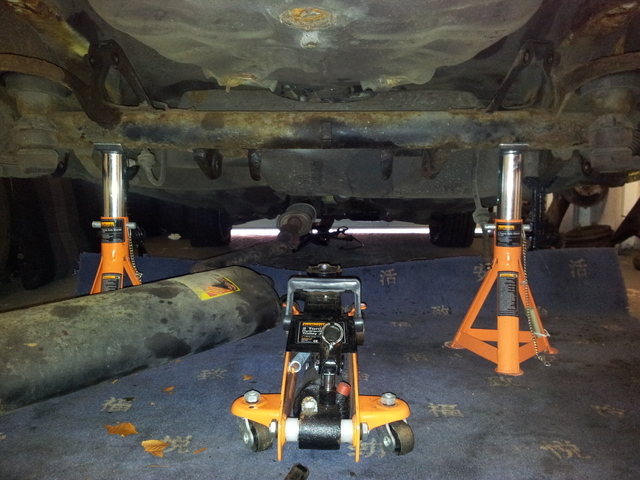 First of I lightly supported the weight of the rear arm with a jack, this took some of the strain off the shock and made it much easier to get the bottom bolts out. 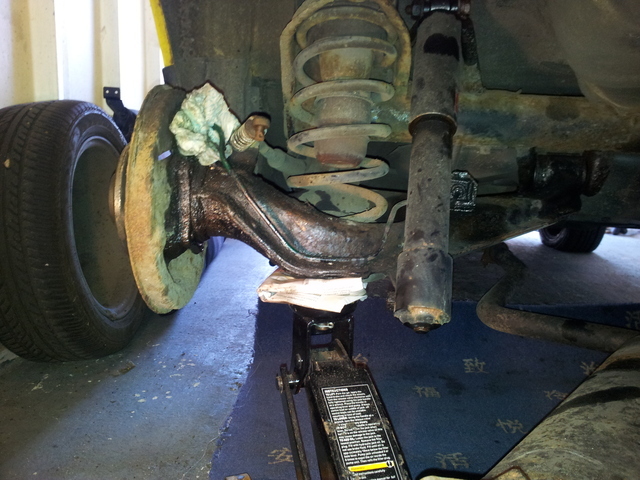 Once the bottom bolt was out it was just a case of pushing the arm down and the spring was free and could be removed. A bit of Plusgas on the top shock mounts was all it took to free off the bolts, which came out with little fuss although it was a bit tricky get a spanner/socket in the gap and on to the nut. 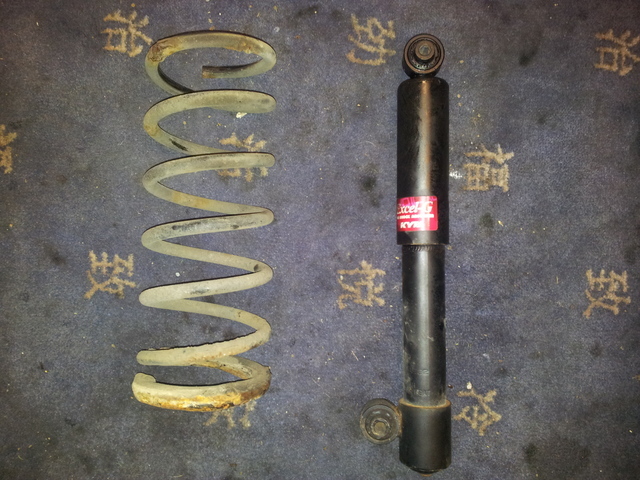 The shocks were actually in really good condition, these will be cleaned up and put back on the car in the future. The springs were also pretty good although a bit grubby with some light surface rust, I might see if I can get some flexible paint to refurbish them with or maybe even powder coat them. 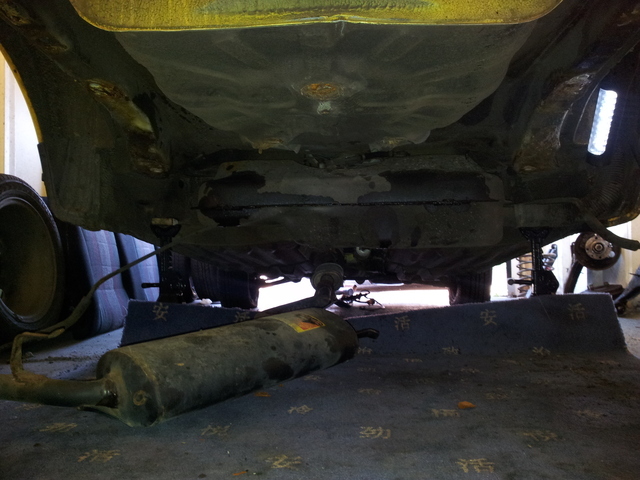 The bolts holding the rear arms on came off without a fight, although it did take a fair bit of force to get them going and some lubricant to ease them out. Again the arms are in great condition and just require a going over with a wire brush, followed by a coat with a decent rust preventing metal paint in satin black. 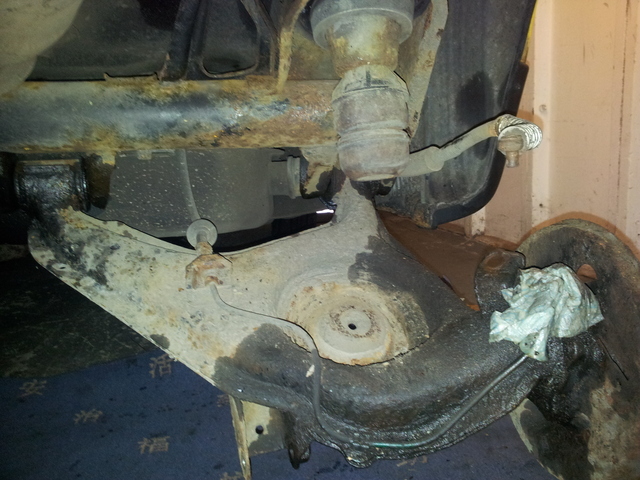 To get the arms off I had to cut the other end of the brake pipes, as the ends were seized on to the flexible hose. Looking bare down at the rear now. 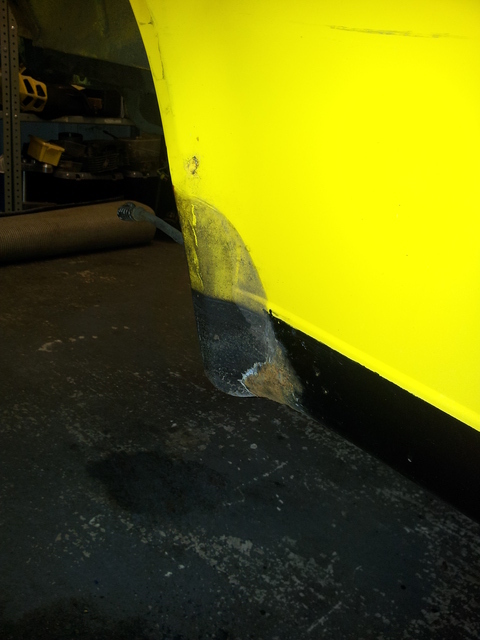 Next in line was the rear beam, I read on the forum that the beam is heavy so I took extra precaution when it came to taking it off. The beam is only held on with four bolts which came out nice and easy, before I completely removed the bolts I supported the weight of the beam with a trolley jack. 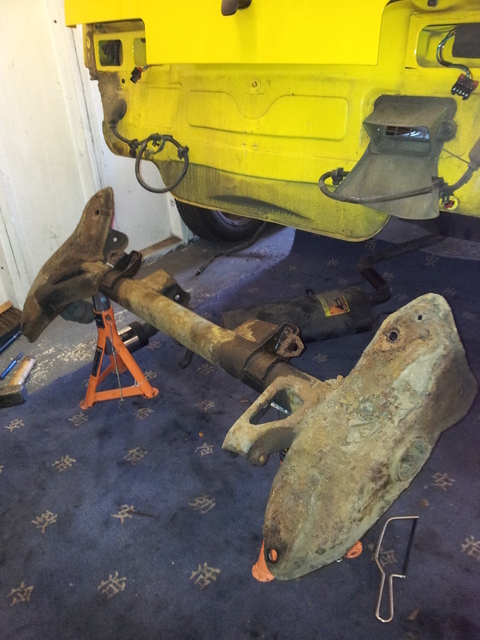 After pulling the bolts out I lowered the beam on to a couple of axle stands. 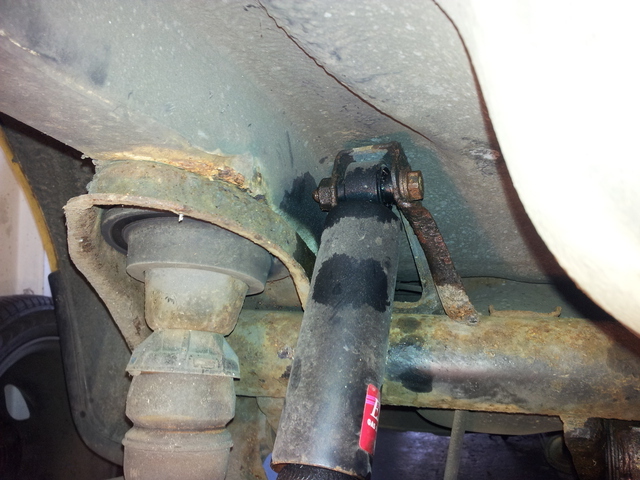 I promptly realised the beam was snagged on something, this turned out to be the flexible brake pipes which needed a couple of retaining clips knocking out. I tried to lower the beam again but it was still stuck, I then twigged that the rear fuel tank mounts bolt to the beam, and that I forgot to undo them ! Shame on me as I have changed the fuel tank on my other Cinquecento and should have remembered, and the exact same thing happened as well…when I tried to remove one of the two bolts, the bolt sheered leaving a stud in the beam . 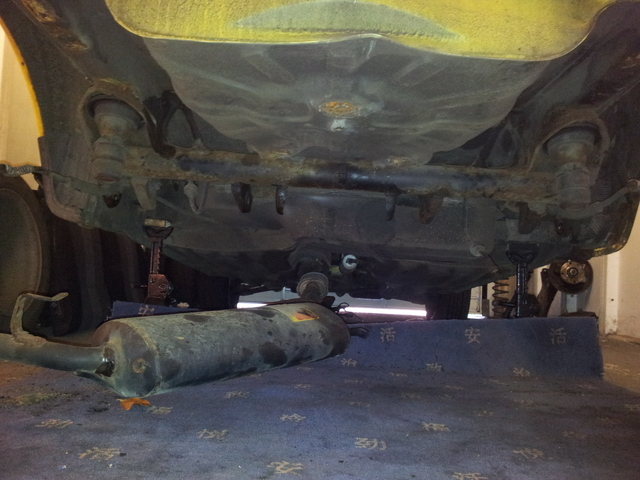 Now the beam is completely free and I was able to lower it down on the stands and pull it out from under the car. The beam has a fair amount of rust some of which is quite deep, I will give it a clean up and decide whether to replace it or not, although I have a feeling it will need to be replaced. The only thing left to remove before I can start cleaning the metal and assess the rust is the fuel tank, I think I will do this next time as the weather was scorching and the garage gets bit warm ! 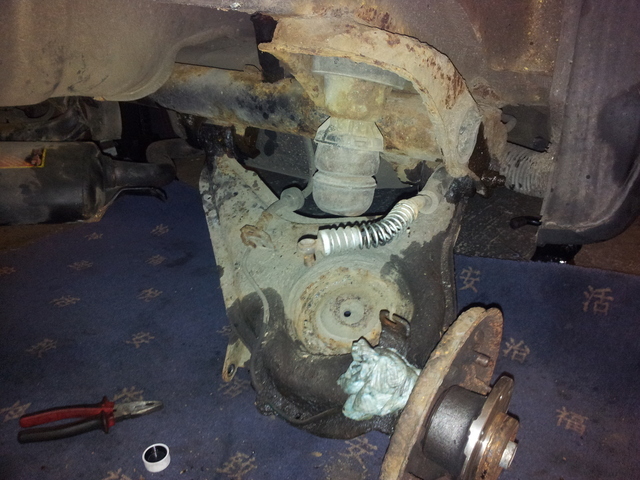 The other parts I removed were the off side wheel are inner and outer plastic covers, both of which unearthed more rust. 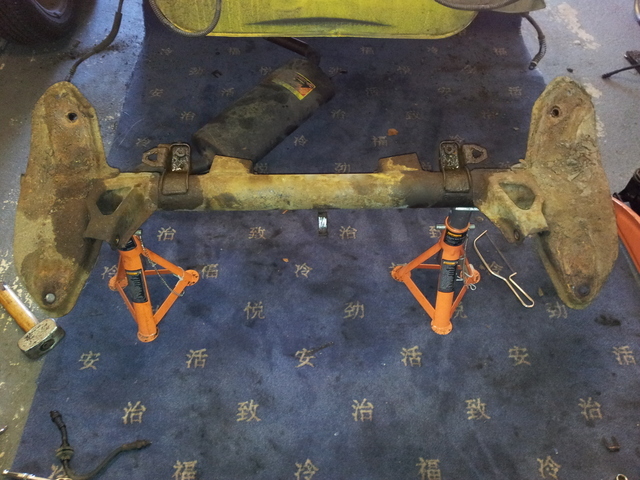 The securing bolts all rounded and needed drilling out, might try replacing the nuts with rivnuts. 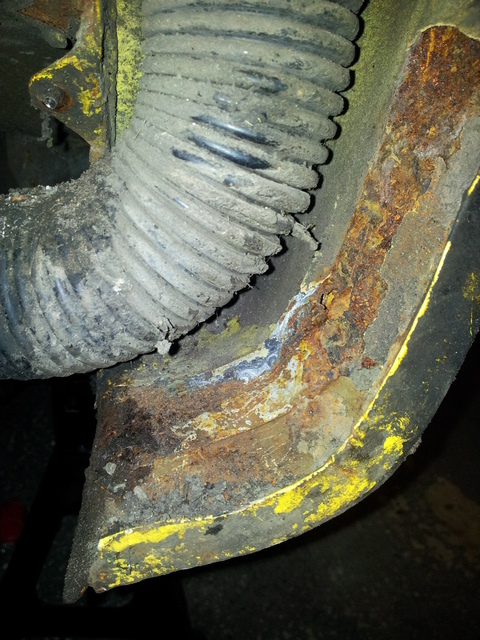 This rust on the outside isn’t too deep, and might not require any welding but I will see what its like after a go with a wire brush. The inside is looking a little worse and the amount of mud sat behind the cover was quiet unbelievable, and I guess the cause of the rust as it was holding moisture on the metal. A moment spent scarping the mud and dirt away left me with this. 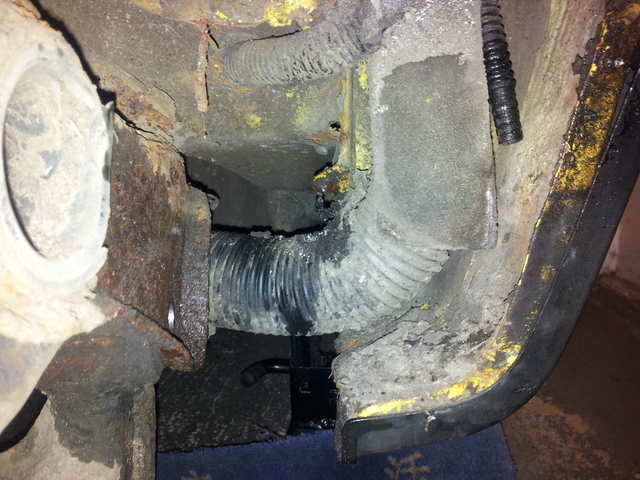 The outer skin appears ok but the inner skin which I guess is part of the inner wheel arch panel has some deep rust, mainly in the bottom section where the dirt was collecting. Again I will clean it up with a wire brush and see what attention it needs. I got a fair bit done in this session and I don’t think I will have much time to get out next weekend as it’s Easter and I have a fair bit planned with the family. I have however just bought an angle grinder and wire wheel attachment, that should make cleaning up the rusty metal a whole lot easier ! Bring on the sun shine.